Audi is one name which clicks to our mind when it comes to the luxury car manufacturers in the country. At present in Indian car market Audi is standing still at second position in luxury car manufacturer after BMW, and in this fight major role was played by Audi Q5 which was launched in the country in 2008. and finally time has come that for car to receive facelift version. Company was aware of this well known fact and today finally company has launched the facelift in the country. If we take a look at Audi Q5 pictures then we will notice that car has gone through some latest upgrades which is giving an amazing view to the car like this new SUV from German manufacturer revised bumper, Xenon plus headlights with LED DRL’s, optional LED tail lamps, new one piece vertical grill with nicely placed emblem on it, aluminium tailgate and engine hood. This was about the exterior updates, although under the hood car remains the same. Audi Q5 price has been tagged at Rs 43.6 lakhs (ex-showroom Delhi) which is 1.5 lakhs more than the earlier variant which was launched back in 2008. At present this amazing hatchback is available in the country in three different models out of which two of them are offering diesel engine trim and another one is available with diesel engine option. 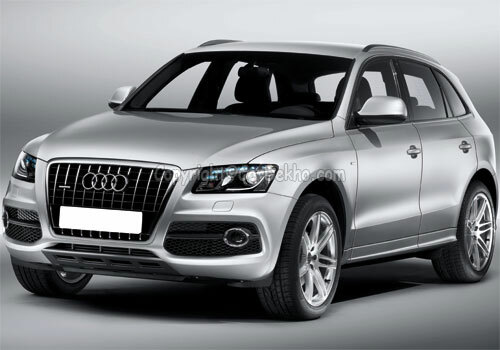 Audi Q5 features a 2.0 liter 4 cylinder DOHC petrol engine, with an displacement of 1984cc. This amazing engine is capable enough to produce an power of 207.85bhp @ 4300-6000rpm with a peak torque of about 350Nm @ 1500-2400rpm. If we take a look at the diesel variant of the car then car comes with 2967cc engine with turbocharger and common rail technology. Diesel engine is capable enough to produce an power of 236.01bhp @ 4000-4400rpm with an peak torque of 500Nm @ 1500-3000rpm. Here diesel engine of this luxurious SUV is more powerful than petrol version of the car. Luxurious SUV from German auto giant can move from 0-100 in just a time gap of 7.2 seconds and can accelarate up to 222kmph, with an decent mileage of 10.9 kmpl on city roads and 15.2 kmpl on highways from the diesel variant if we talk about petrol variant then it offers mileage of 9.6 kmpl on city roads and 13.7 kmpl on highways. 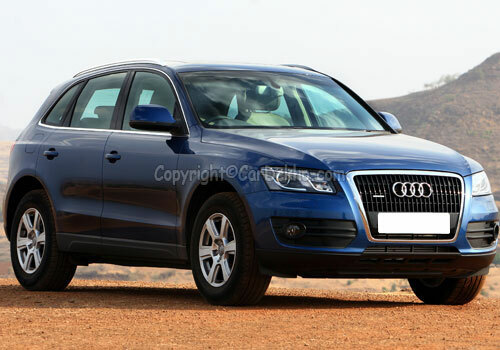 Most popular Audi cars running on the Indian roads are Audi A4, Audi Q5, Audi Q7.